A group of parents from the Sandhills of Nebraska dreamed of starting a Christian boarding high school for their children to attend. In March of 1959, Nebraska Christian High School was incorporated with 15 corporation members, each of whom donated $50. 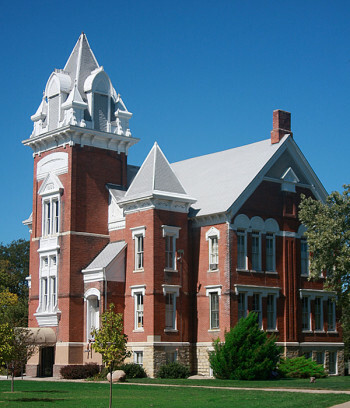 After much prayer and research regarding a suitable location for the school, the vacated Nebraska Central College campus near Central City was purchased for a down payment of $1,000 and payments of $3,000 per year for the next three years. In September of 1959, Nebraska Christian Schools opened its doors for 38 high school students taught by six teachers. Dorms were opened for both boys and girls that year. A junior high program was added in 1971, and grades kindergarten through six began in 1977. NCS has been enriched over the years with the addition of international students who live in the dorms and take a variety of intensive English acquisition and mainstream classes. Over the years, buildings have been added to meet the needs of the growing school. We renovated our elementary building and added new playground equipment in 2004, opened our new high school building in 2007, updated our industrial technology facility in 2011, and opened our new girls’ dorm in 2015.